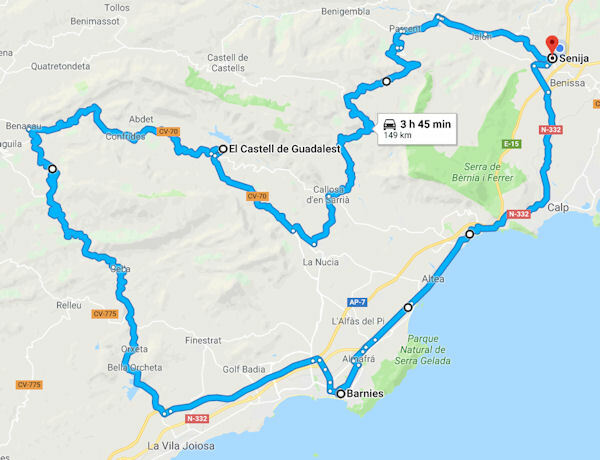 It's been a few years since I visited a round of the MotoGP championship, even though the Ricardo Tormo circuit is only a little over an hour from my home. Time to get my finger out and go racing again. During the early part of the year before the racing season started, it looked like Valentino Rossi would retire at the end of 2018 as he hadn't signed a new contract yet. 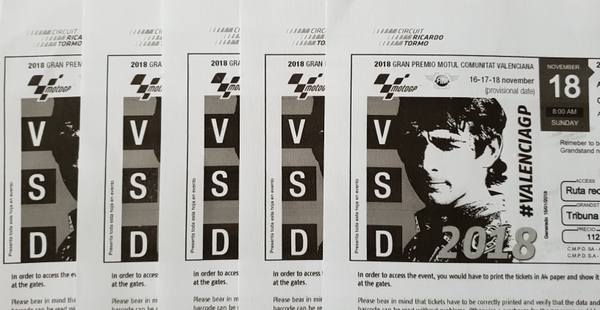 Not wanting to miss out on his final race a plan was hatched and 5 tickets purchased for the Valencia round held at the Ricardo Tormos circuit near Cheste. Sometimes you just need to get out on your bike, it doesn't matter where you are going or how long you will be out, you just need to be out. This is how I felt last Saturday. It's been a funny old week weather-wise, I've been wearing shorts most of the week as it's been quite warm but then towards the end of the week it started to turn a bit cooler and then the forecast turned to thunder and lightning. It reminded me of being in the UK in 2001, (the second year of GSXR ownership), for most of the short UK riding season the weather was great from Monday to Thursday and then rained until Sunday evening meaning no biking at the weekend. The GSXR only did about 150 miles in the whole year, 100 of those were taking it to be serviced, not good. Having new tyres fitted and setting off on them for the first time can be a bit daunting especially if the tyres are of a type you haven't tried before. Listening to all of the stories from friends about "scrubbing in times", watching racers slide off on their outlap and the commentators wax lyrical about new tyres and their "break in period", it's enough to put some people off. However once you've owned a bike for a few years and had a few sets of tyres it becomes second nature.